Handmade card making is lots of fun. 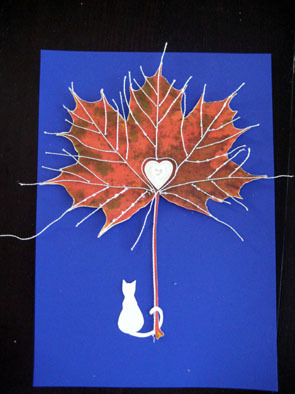 I got the idea for this card when I was walking outside and found a beautiful red maple leaf on the ground. I took it home and scanned it (because it would have gone all dry and brown very fast otherwise). 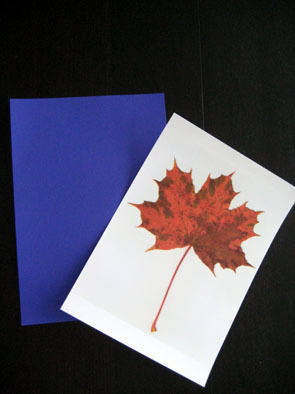 So here I have my chosen background - lovely soft deep blue, and the scan of the maple leaf I took. 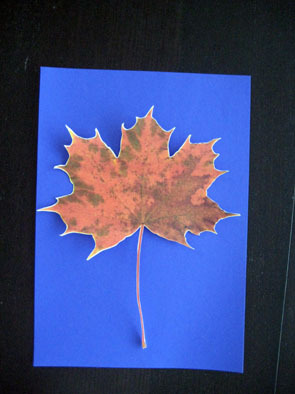 I then cut the maple leaf out from the paper (I used thick photo paper which was easy to cut with sharp scrissors). 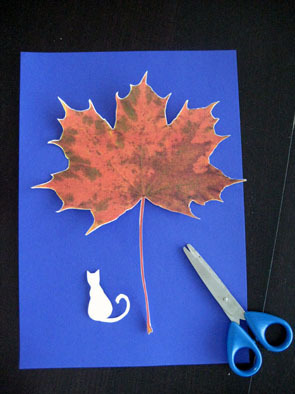 I then sketched a small cat witha curly tail out of white cardboard and cut it out. 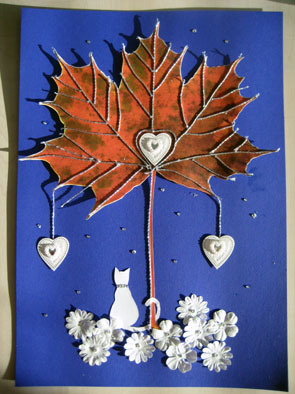 After some positioning I decided I would put in to the left of the maple leaf. 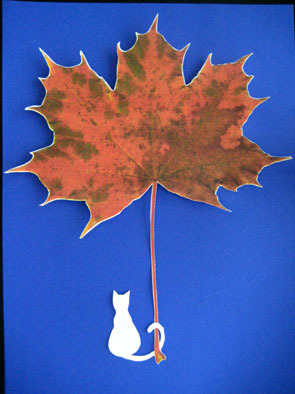 The tail just naturally curled around the "trunk" of the maple-leaf tree. I wanted this card to be about missing a loved one, so I rummaged through my stack of scrapbooking stuff and found beautiful white hearts. To me white is a color of longing, so that fits nicely to the theme. Then I took out a roll of silver string and using small glue dabs I glued it as the veins of the leaf - to make it look a bit more like a tree. 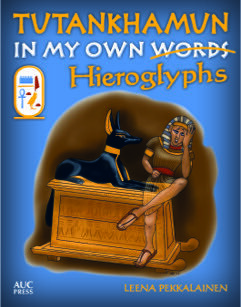 And here is the finished card. 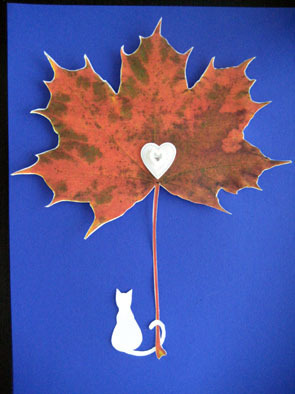 The symbology is in the autumn leaf - when you miss someone you love, it is like summer has ended. And the white flowers - it is like color has vanished from life. The white hearts represent pure longing - and love, of course. 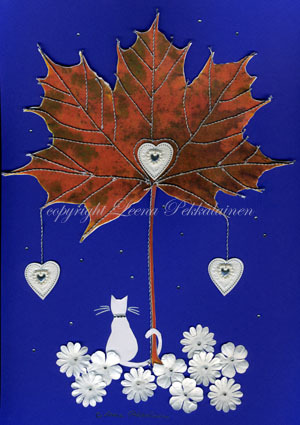 If you enjoy the design but do not have time to make one of your own, you can find this on cards at Cat-Breeds-Info Zazzle store or if you like Cafepress more, here is Cat-Breeds-Info Cafepress store.